Let's start with the "art" shot. This little piece is not actually bowed, it is a rectangle of 5" x 8.5" and the finished strips are about 1/4" wide, give or take. I think I will refer to this as industrial modern matchstick piecing. It started as an idea that came together as I made a latte last night in my Colorado mug. 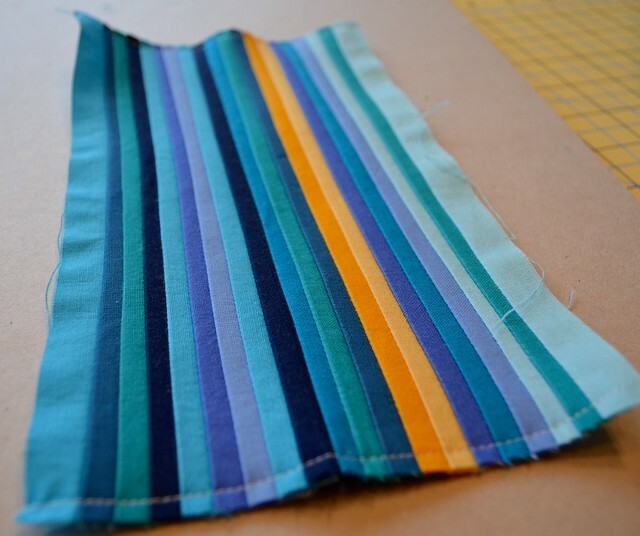 The heat wave had been replaced with light cooling rain and finally I was able to sit and sew comfortably again. 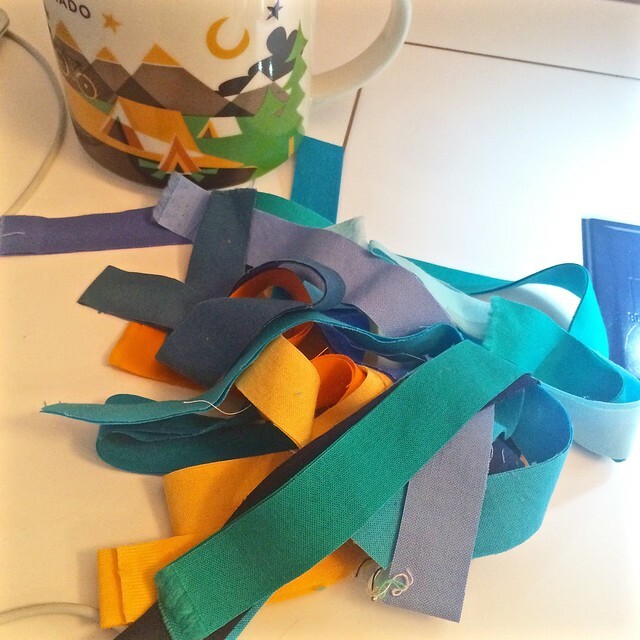 I gathered some leftover bits of some blue, teal and yellow solids and cut 3/4" strips. I worked carefully but I was far to excited to press each addition. I finger pressed. This is a photo I put on instagram to show the scale. This was my last photo last night on instagram. You can see that the lines are not perfect, I think for me to do better I would need to paper piece it. Otherwise, with regular piecing on a small piece just 8.5" or so (I made it a bit bigger and trimmed it) you can already see that the strips are slightly wobbly and the piece begins to bow a bit in the middle of the long sides - thus, industrial modern, it has character and texture like that old wood or brick wall, not perfection like the paper pieced block would be. I am in love. This morning I stay stitched the edges 1/8" from the edge so that the piece would hold up to shipping and handling. 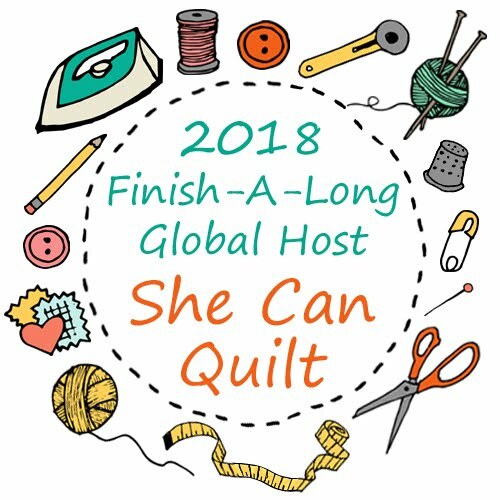 It is off on a world tour as part of a little round robin group I have joined called PIP, with first stop Susan from PatchworknPlay in Australia. I made this mosaic, after I finished the piece, to inspire the group. 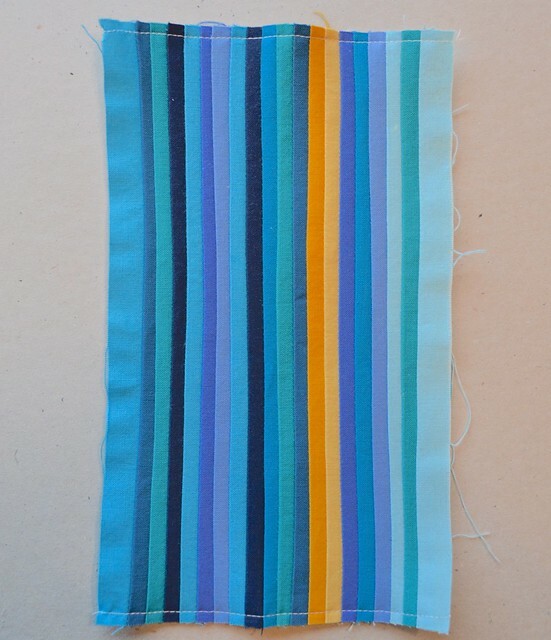 We are making enough blocks to make a mini quilt or a pillow in the end, so the additions are all small bits like this one, or maybe just embellishment, etc. 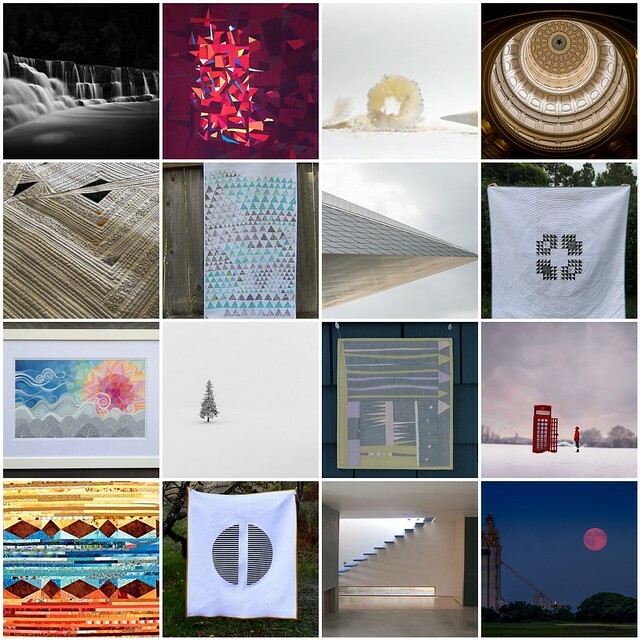 My mosaic is about "a feeling" more than anything - texture, minimalist, contrast, shape. 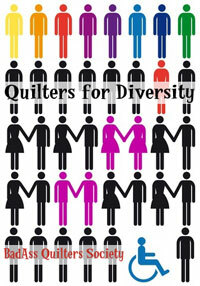 I am hoping the group will use whatever colours or fabrics inspire them, to make something they love, to add to my block - there are no expectations on my end. I am excited to see what returns to me in a year (we are having two months between additions, a very civilized round robin). And how is this about scraps you might ask? Well, two things. The strips were cut from scraps and worse, now I have to start saving these small strips - I was letting bits this tiny go to the garbage before. I am so looking forward to exploring this concept of matchstick piecing more. I think I best get a special box to keep them in or they will be lost with the regular bits of scraps. And of course, they will only add to the scrap mountain, oh well. 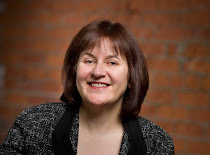 I wonder what Nicky, from Mrs. Sew and Sow, is doing with her scraps this week, check her out and see if she is saying. 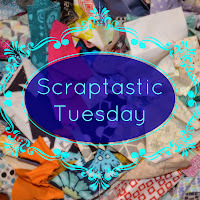 Oh and do plan to join us for the July Scraptastic Tuesday link up, the second Tuesday of the month, July 14. 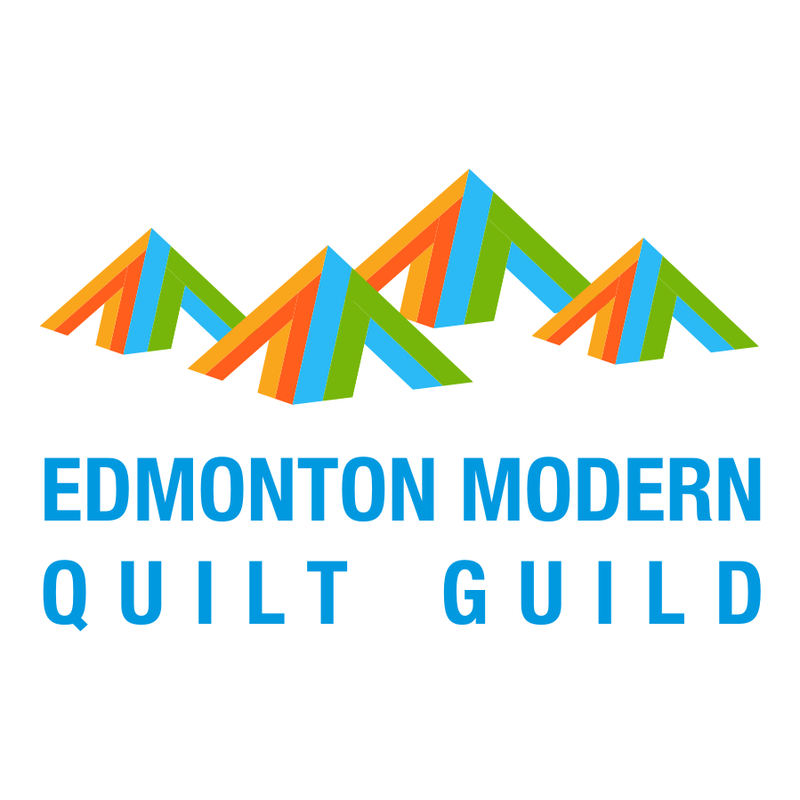 Totally loving this modern matchstick piecing! Lots of colors and POP! I'm interested to see what you officially make with it. Lots of creative ideas to use! 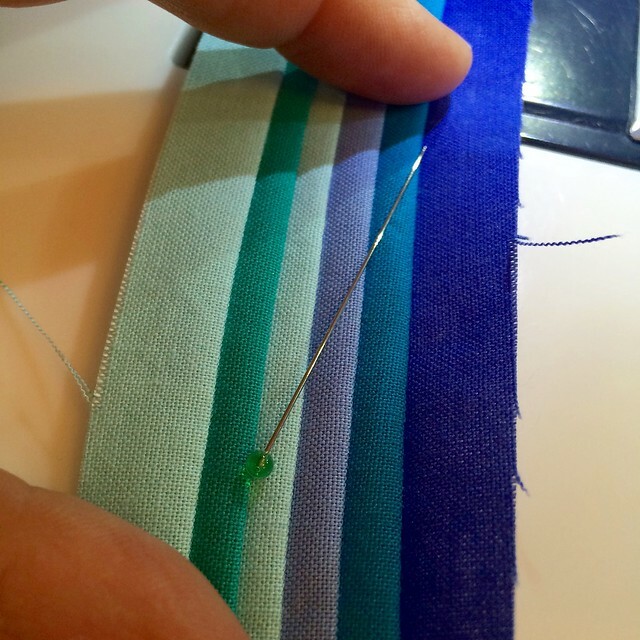 Did you alternate the direction of your sewing? This helps. Also, you could try to straighten the rows with vigorous ironing. OR, you could try to distort them even more by stretching them while ironing. beautiful colours! wish i was getting to play with this! I love it.Stunning color.What are you going to do with it? Beautiful piece of stripped work it will be interesting to see what is added to this piece. Lucky you to be part of a Round Robin group. Oh my!! Your mosaic makes my heart beat faster!!! Fab! I love those stripes/strips!! 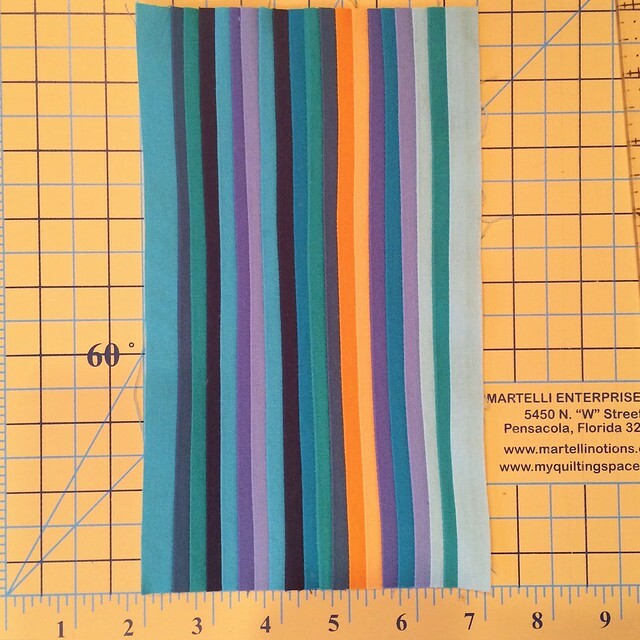 Would uthem using Seminole techniques make it easier to get them straight without paper piecing? Love this matchstick piecing! And what a fun way to use scraps in that size instead of just tossing them.